Often during prenatal visits my clients and I discuss who they’d like to have at their home the day of their birth. Some will have a doula, some family and/or friends. Many choose to have their children with them, with a caretaker there specifically for the child. Whoever my clients choose to have with them, is always their decision. What I do suggest is that, whoever is there, is supportive of their decision to birth at home and are somewhat prepared of what to expect during the birth. I welcome anyone who has questions or would like to be at a clients birth, to come to her prenatal visits. We discuss what my clients expectations are of those who will be there. Sometimes it is at these visits, my clients will inform a family member they do not want anyone there but their partners. It is a safe space to have this discussion. We then talk about birth being very private and intimate and sometimes not the right time for a large group people. 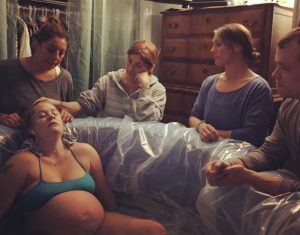 Those who have fear around birth or fear about a home birth are usually not the best choices to have share in this day. 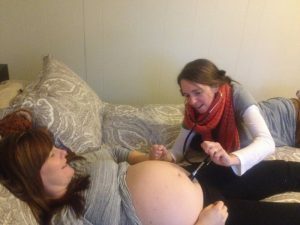 When in labor, women are very intuitive and can pick up on that energy and those fears can actually stall a woman in labor. Another situation where i’ve seen this happen, is when children are present. If a child is scared or needing their mother, the woman in labor can not focus on bring the new baby into the world when she is mothering her older child. Once grandma comes over to play with big brother or sister-to-be, labor picks up and we have a baby! Some children are so supportive, they act as a doula. One birth in particular, my client”s daughter would just lay next to her, to soothe and comfort her during contractions. Then she’d jump up, and run in the other room to have naked dance party time! You see, it’s the space that’s made for her to feel safe and supportive, so that her mother can feel the same in the other room. 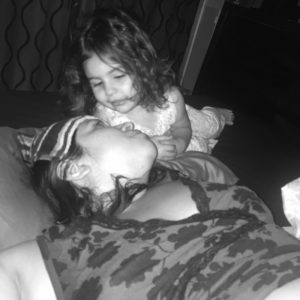 Each person present, should have a role at your birth; whether to support you, take pictures, cook foods you love, massage you and just be with you without fear or judgement. Whoever is invited to share in this day, should know it is an honor, to be able to bare witness to the miracle of life happening just in that other room. To see the strength and beauty of a woman do the work she was made to do and birth her baby in the love and safety of her home.